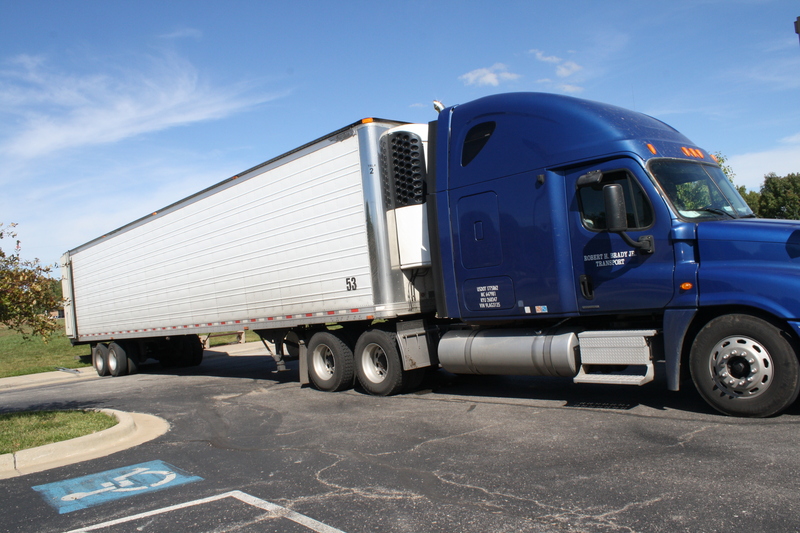 Almost a month ago, a very large delivery was made here and it was quite exciting. it was full of pumpkins! Unfortunately the children weren’t here to experience this but we documented it with pictures! Lots of volunteers came to help the church unload all of those pumpkins. Do you know how many there were? 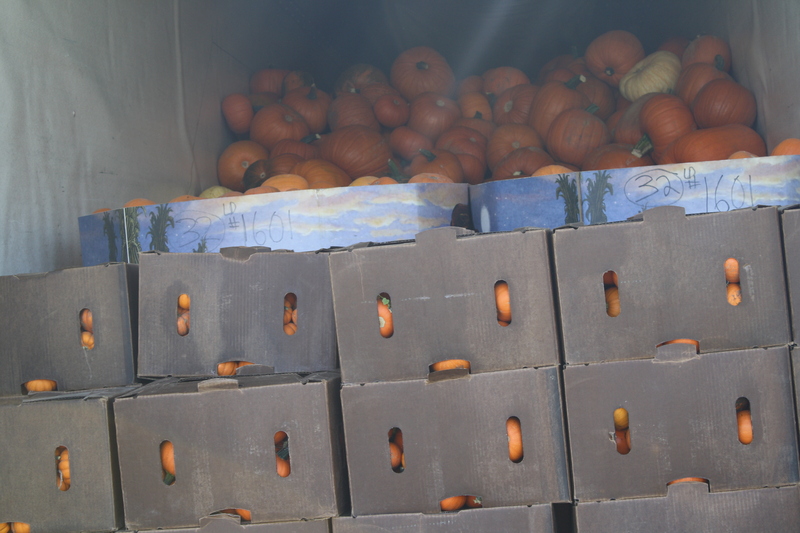 There were close to 4,000 pumpkins delivered! 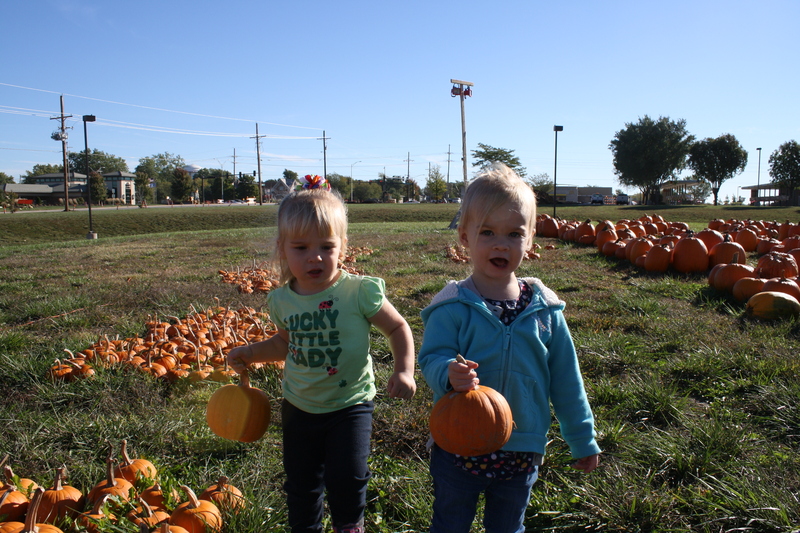 We talk about this with the children… “how many pumpkins do you think there are out there?” They don’t comprehend thousands or even hundreds but we do talk about if there are more than 10 or 20. It’s good estimation practice! 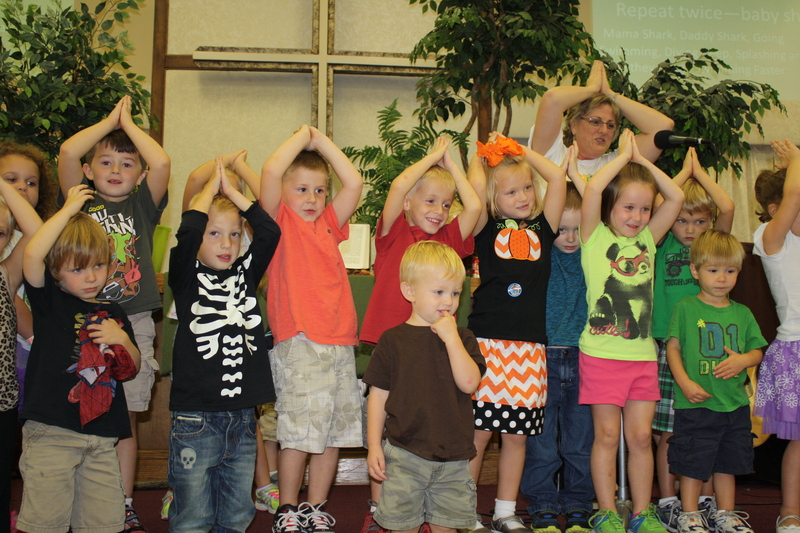 The annual pumpkin patch here at Aldersgate UMC is a tradition that benefits the youth group mission trips. It’s a great cause and so much fun for our preschoolers to experience! 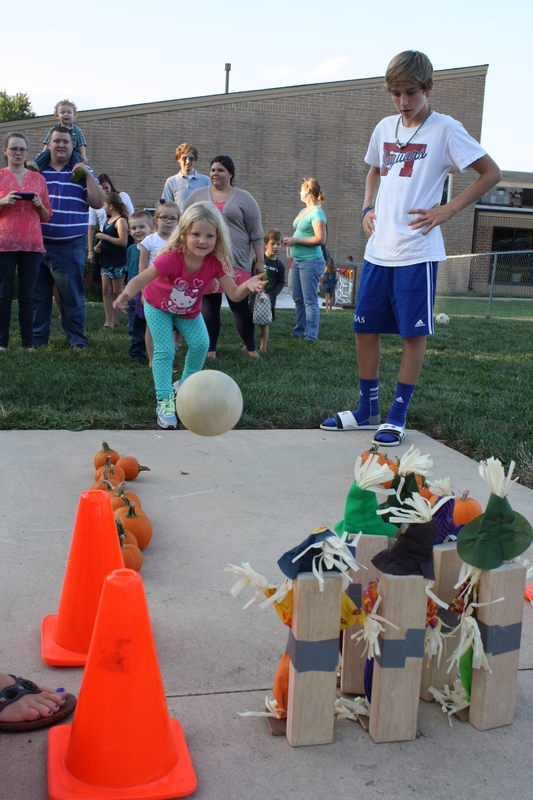 If you were here at the Fall Festival, then you may have experienced our pumpkin pounding. 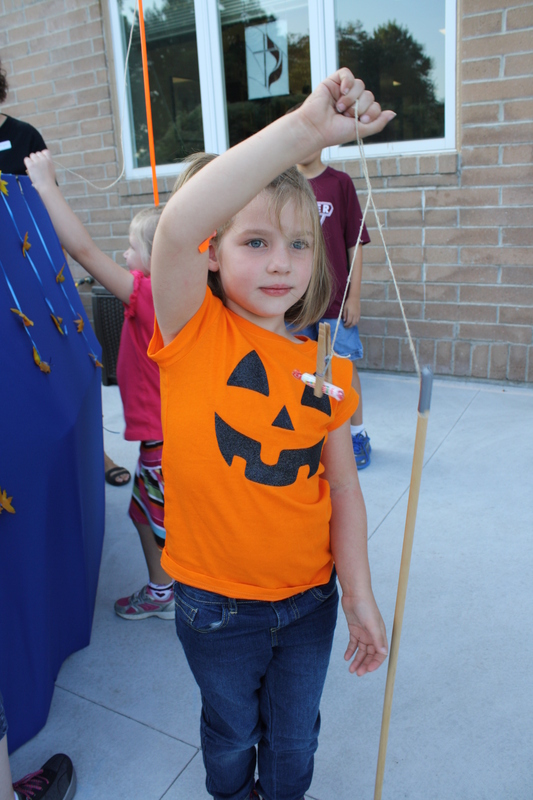 The children love to pound those golf tees into the pumpkin over and over again! It’s a great cause and effect activity, it works our muscles, and it’s so much fun! We also spend time walking around the patch and investigating all of the different sizes, colors, and shapes of pumpkins. 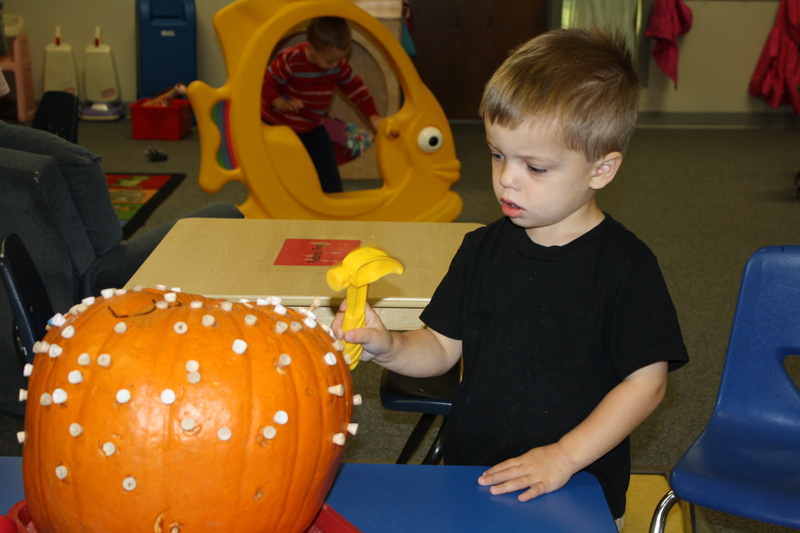 Children learn with their whole bodies and all of their senses so when they are touching, carrying, pounding, and looking at pumpkins, they are learning in the most beneficial and effective way! 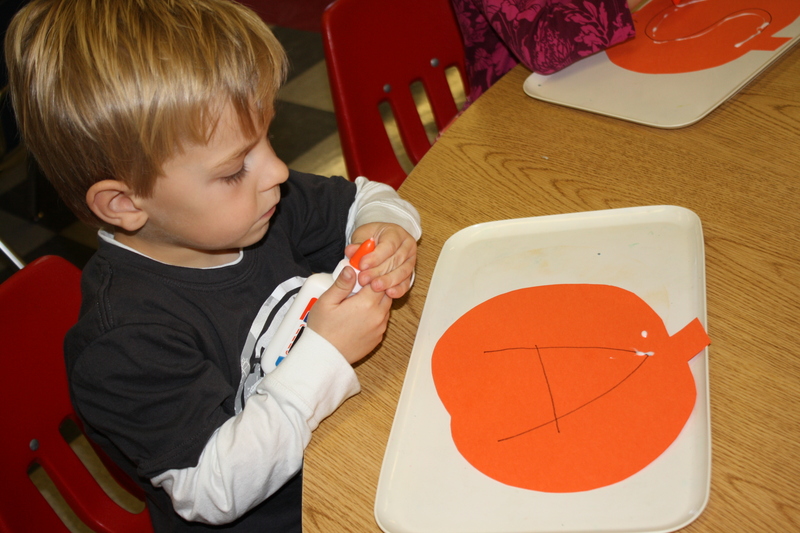 Last week in Enrichment, we tasted pumpkin seeds and also did a little craft with them. We traced our initials using the seed. The children took great pride in writing their initials and lining up the seeds. 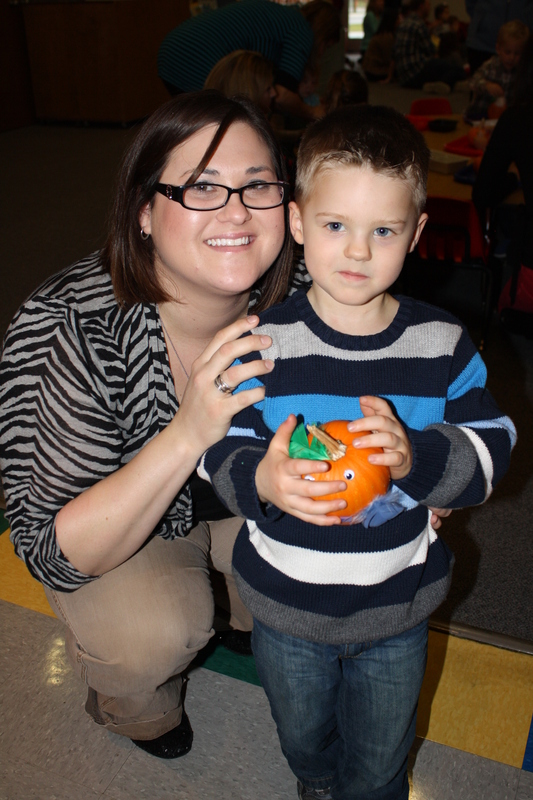 And during Parent Day today in Yellow class, the children decorated their pumpkins with feathers, googly eyes, and other fun pieces. So many things can be done with pumpkins: pounding, painting, measuring, investigating, decorating, cutting and so much more! We have welcomed fall with the pumpkin patch and will be sad to see it end. Last week I began discussing some ways that you can assist your child in increasing his/her attention span. We talked about board games! Besides sitting for an extended period of time, there are so many benefits to playing board games. In addition to playing games, there are also so many other activities that your child may enjoy doing. Like play dough! We make our own play dough here at Aldersgate. You can add special colors or even spices to really make it interesting. If you’re interested in making your own at home, you can find the recipe here. Children love to manipulate play dough and it’s great exercise for their hand muscles too! As a parent myself, I’ve found it very beneficial to have lots of art supplies always readily available for my children. And, I always have my own children put a placemat beneath the art that they are doing. I have found that the Pottery Barn Kids placemats work really well for this and are easy to clean. Painting is so much fun too! And watercolors are much less messy than other paints. 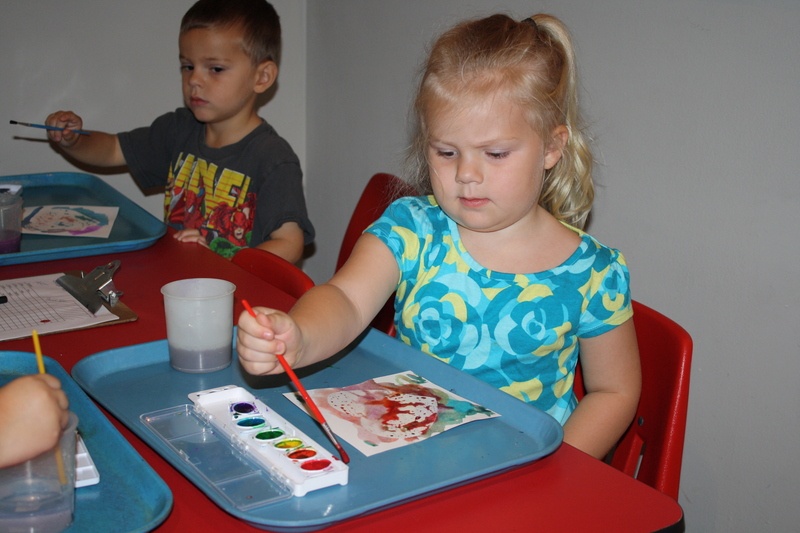 Each of these activities: painting, play dough, and coloring are wonderful for fine motor! 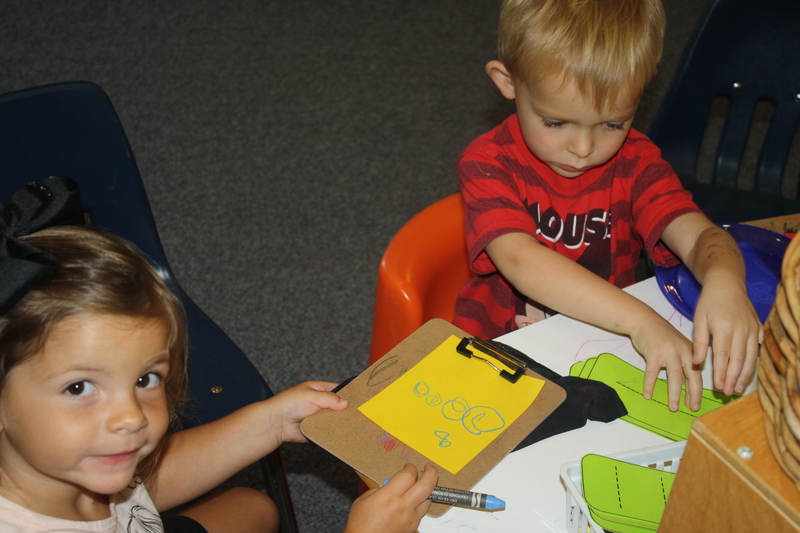 When the children are using their hands to manipulate art, they are preparing those hand muscles for writing. It’s pretty amazing how important using our hands is in building up fine motor. Quite possibly you just read the title of this post and are anxious to read what I have to say. Because, who wouldn’t want an easy answer for how to have your child pay attention? Unfortunately, in early childhood, much of what drives us crazy about our children is actually just developmental. Try saying that next time you overhear someone complaining! Ha! There are some things that you can do at home to foster and increase your child’s attention span. BOARD GAMES! Believe it or not, children love to play games and there are so many benefits to doing it: from learning about taking turns and waiting your turn to practice in focusing and paying attention to learning about losing (and, yes, that is a very important life skill)! Some believe that putting children in front of technology or the television fosters attention span. Research and studies have actually proven the opposite. Children benefit most in quality activities that involve others. And board games are an activity that promote and support this. 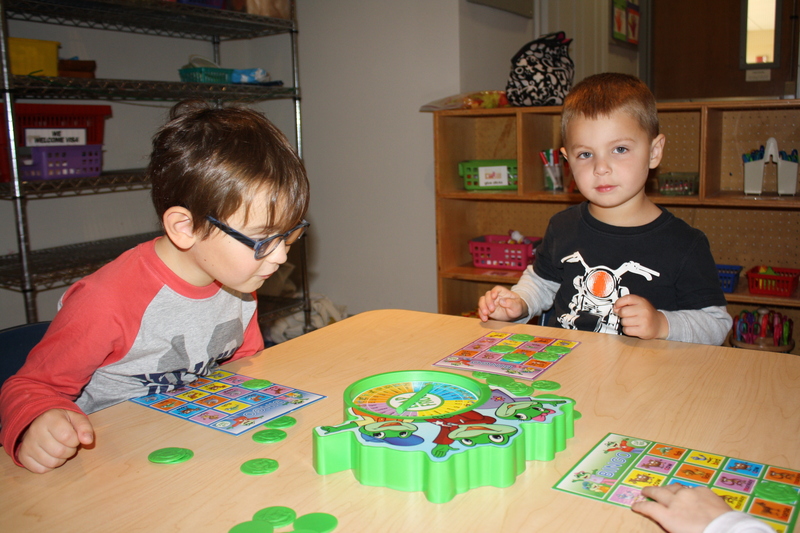 When kindergarten teachers were asked what types of qualities they look for in incoming kindergarteners, most answers include things like, “waiting their turn, sitting for a period of time” all things that can be practiced through playing a simple board game.